Make your photos come alive with music! HOW TO MAKE A PHOTO VIDEO WITH MUSIC? Add text and sprinkle some music! Download or publish directly to Youtube and Facebook! Combine all your sweet wedding snaps to create a beautiful wedding video. This can be an awesome anniversary gift! Remember, it’s not everyday you get to marry! Showcasing your company culture and what it stands for will inspire your team and even attract investors! Just upload your company pics and use our royalty free music! From Valentine’s day to Christmas, we’ve got you covered! Use our templates or start from scratch to make your loved one’s feel special. 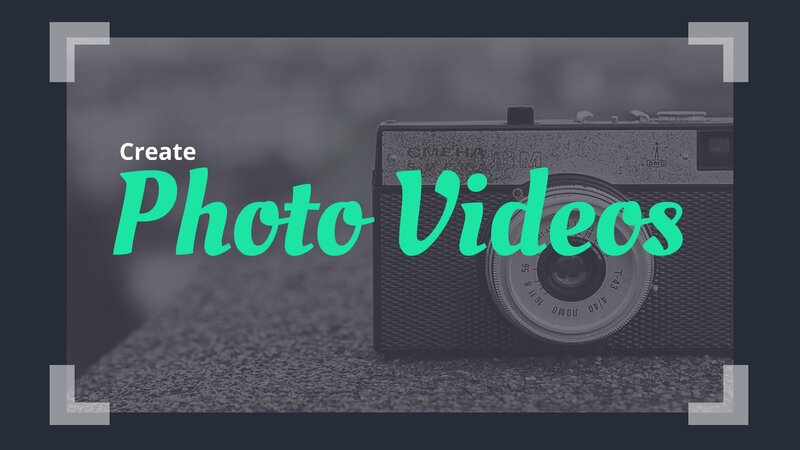 Videos with picture are very popular in Social Media for a good reason. If you have a good story, you can combine it with great visuals to hook your followers! Animaker has a simple drag-and-drop interface. You can learn it during your lunch break!